Young leaders attending the ECOSOC Youth Forum call for accelerated efforts for a more sustainable future. 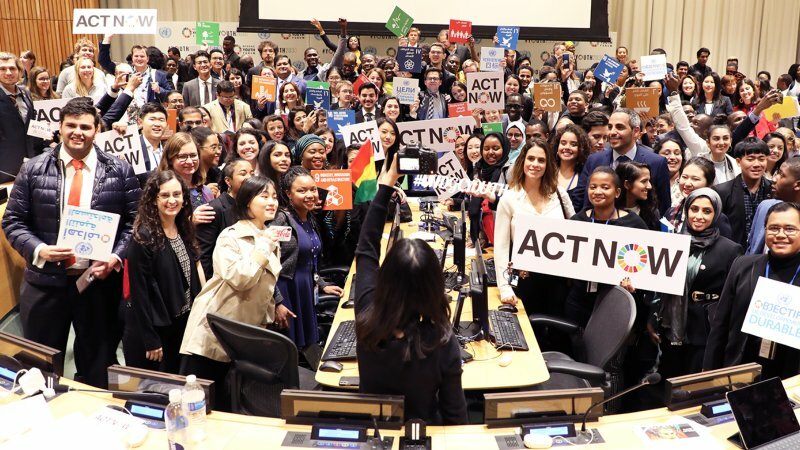 New York, 10 April 2019 – More than 1,000 young leaders and advocates at the United Nations today called on the global community to deliver on their promise of a future that is sustainable, safe and equitable. “The ones that need us the most include the over 260 million young people who are not in school today, the 64 million young people who are unemployed, along with the 145 million young people who live in working poverty,” UN Secretary-General’s Envoy on Youth, Jayathma Wickramanayake.